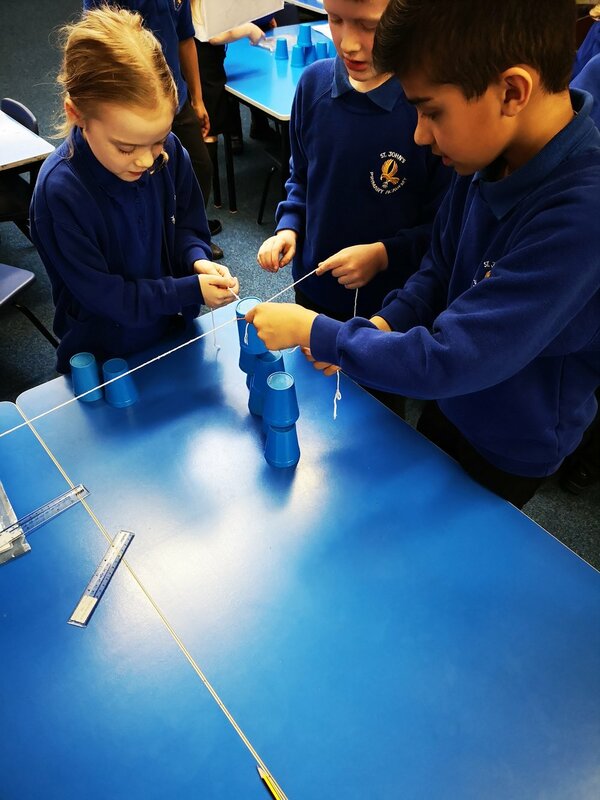 3DB were set a challenge of stacking 10 cups to make a pyramid in groups. Easy, I hear you say but wait... the children could not use their hands! 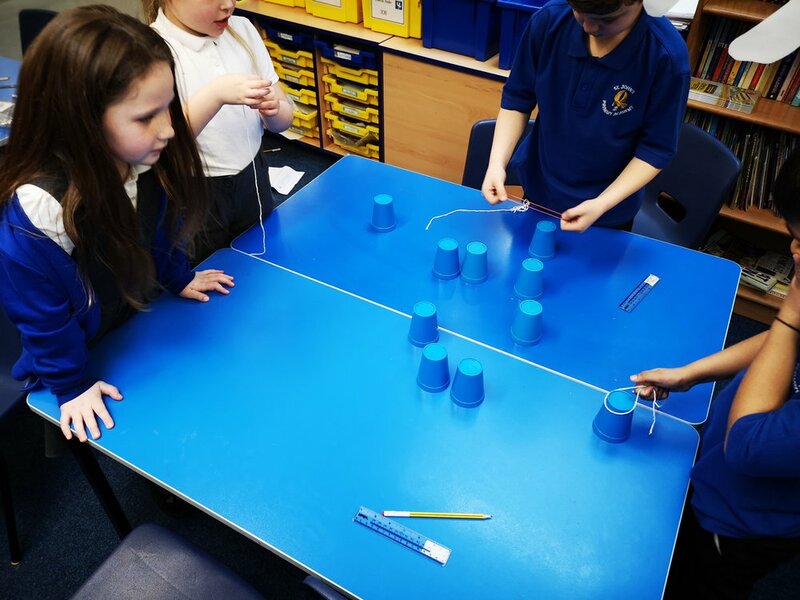 The children needed to move the cups from one formation to another using only the elastic and string - at no time can their hands (or any body parts, for that matter) touch the cups. 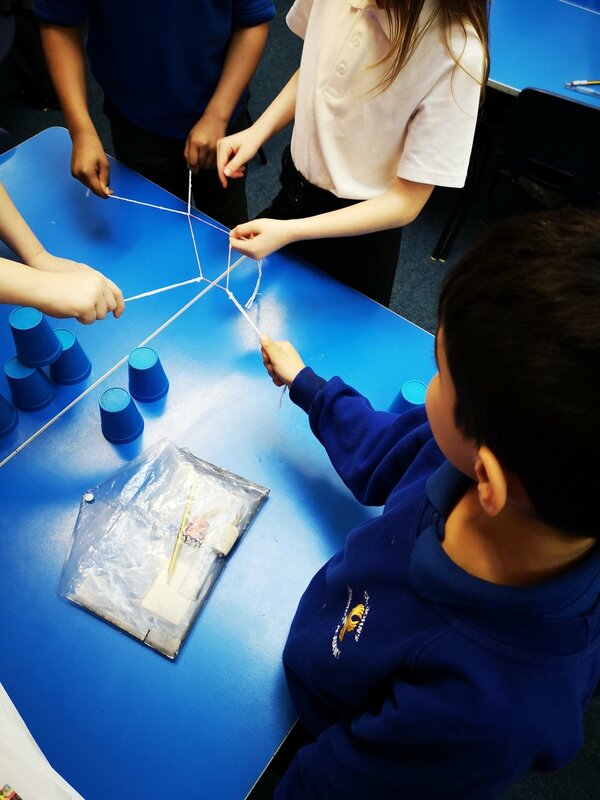 Mr Barber gave no hints or instruction about how to move the cups – the groups needed to figure out what strategies work for them as part of their team-building. If the stack fell while they are making it, they had to work together to get it standing again. 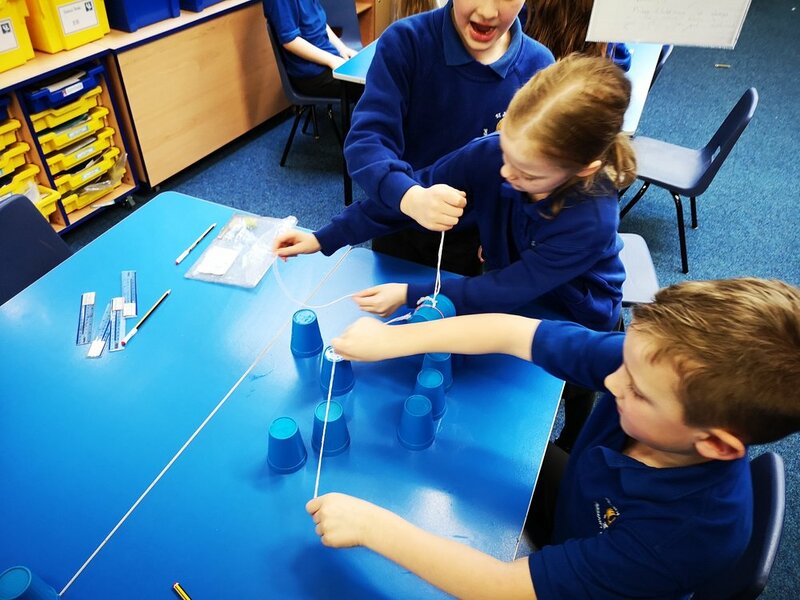 All of this happened without any teacher instruction or input, outside of showing them what the final stack should look like, they had to figure out how to move the cups using only string and elastics. We talked about challenges - sometimes the stack fell, just like we sometimes encounter problems, but by working together, we can build it back up again. 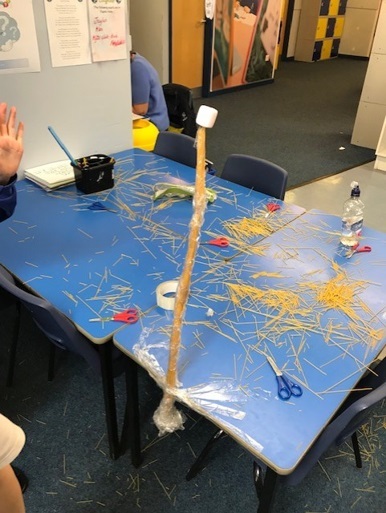 Through resilience, perseverance, creativity, co-operation and independent thinking, the children all tackled the challenge with the special tool that they made which enabled them to successfully build the cup stack. Well done 3DB! Miss Brown challenged 6JB with the ‘blow cup challenge’ – a new craze which is sweeping the internet. The challenge involved combining two lightweight cups into a stack and blowing against the surface of the top cup to sling it out of its place with the aim of landing it into a third cup at a distance away. 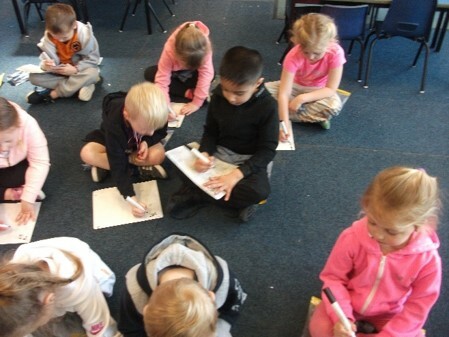 As the minutes went by, the children were getting closer and closer to succeeding, until eventually some of them did! 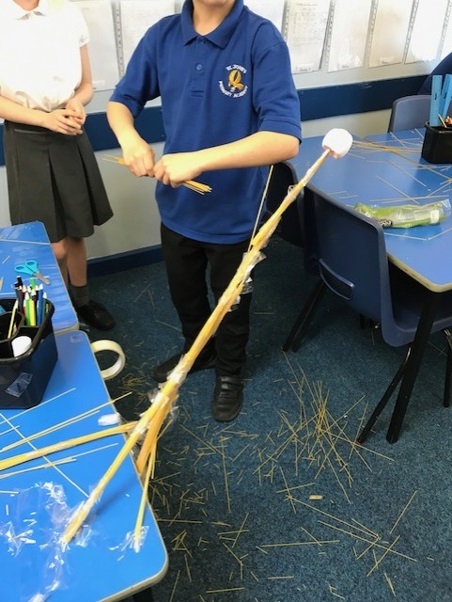 The class definitely demonstrated their growth mind set this afternoon: the task was a challenging one and the children certainly had to show a great deal of determination and perseverance in order to succeed. 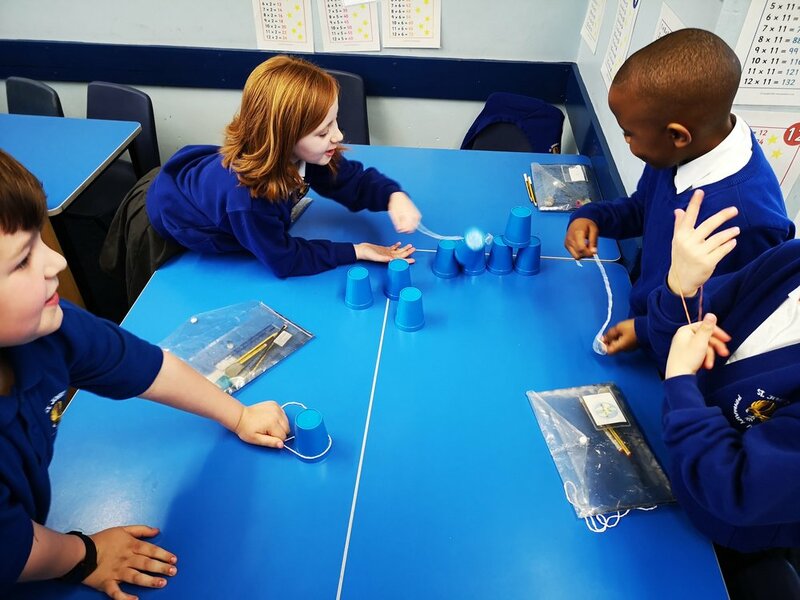 Miss Brown was thrilled that even though the lesson had to come to an end, that many of the class chose to take their cups home so that they could continue to try master the cup-blowing challenge! What great can-do attitudes! Well done 6JB! 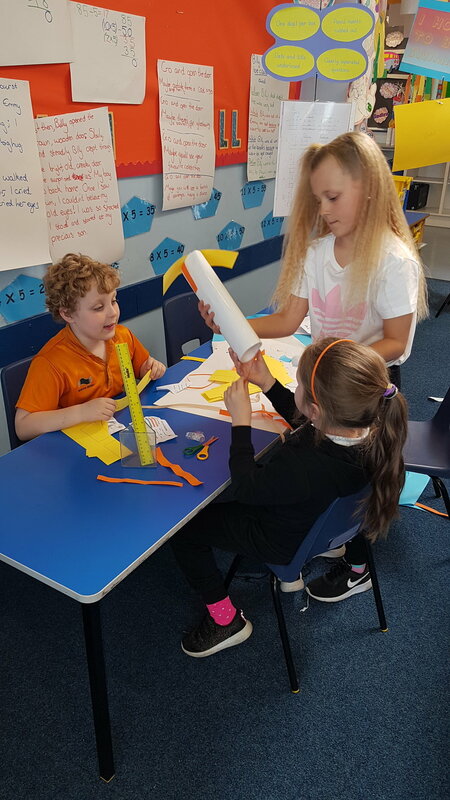 As part of our topic, 4JC were challenged by Mr Cooke to create a windmill that could lift-up a plastic cup when the sails turn. The children were only given a diagram with no real detail and the equipment they needed. 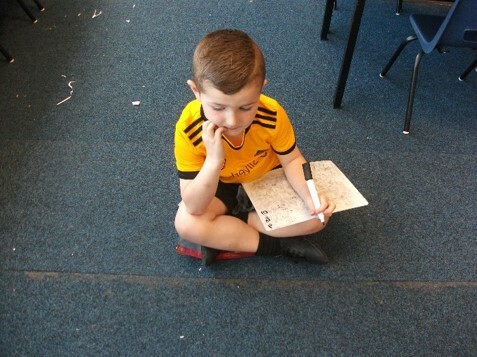 Once they had been given the challenge, the children started to note down their initial thoughts (on yellow Post-It notes). 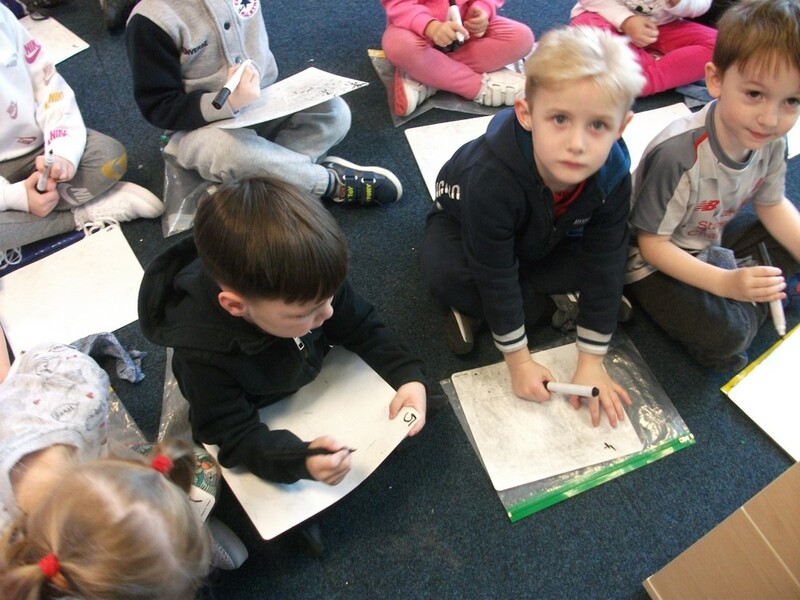 The children then started their task in pairs. There were many different approaches and the children made lots of mistakes: some children stuck the bamboo stick straight to the table, some children didn’t Sellotape enough bamboo to the table so it wasn’t strong enough, some children made their sails too thin and some children made their sails too long. However, they persevered through these mistakes and then amended their approaches. After a while, we discussed these mistakes as a class and explored how we could learn from these mistakes and change how we would make the windmills. They then decided how to make their windmill so that it was the most effective at lifting the cup. Finally, the class came back together to discuss how they thought the challenge had turned out and how they feel now compared to the start of the task (shown on blue Post-It notes). 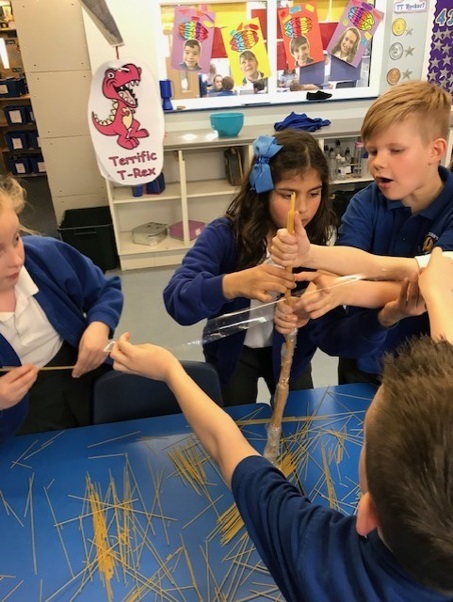 We discussed how a growth mindset was very beneficial during this challenge and how their willingness to make mistakes, learn from them and have the resilience to keep on going enabled them to succeed at the challenge. 6WF took on the Flood challenge! 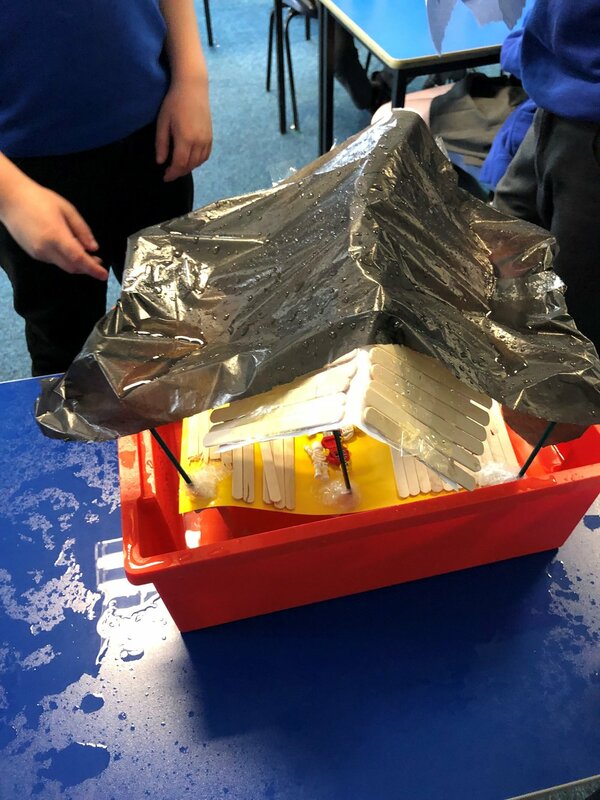 Our task was to create a house which would survive an onslaught of rain! We got together in groups of 3 or 4 and created our ideas. This showed a lot of collaboration skills as we all had different thoughts. After we designed them Mr Fleet told us we had to have a house which could stand up in 5cm of water...how annoying! So we discussed the best was to do and adapted our houses, hoping that they would work! After making the houses, we tested them in the water and with a lot of rain! This activity was really enjoyable and helped us with our collaboration and problem solving skills! 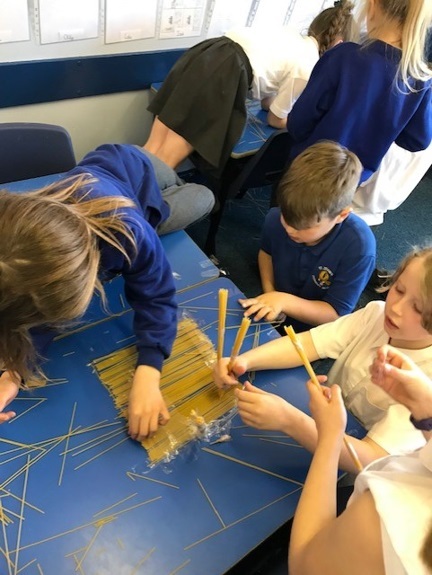 The 5HH team were set a challenge. The marble needed to start at the top of the table and reach the floor. It had to take over 1 minute to get to the end. Before starting the challenge, the class discussed their initial thoughts on the task and how they were currently feeling. 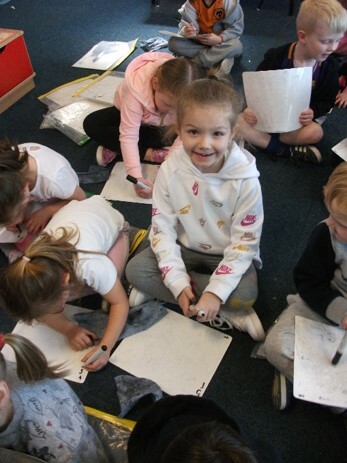 Within a team, the children began to think of strategies to solve the problem. They gathered equipment and set off on the task. Half way through the challenge, they stopped to discuss their different techniques and strategies. 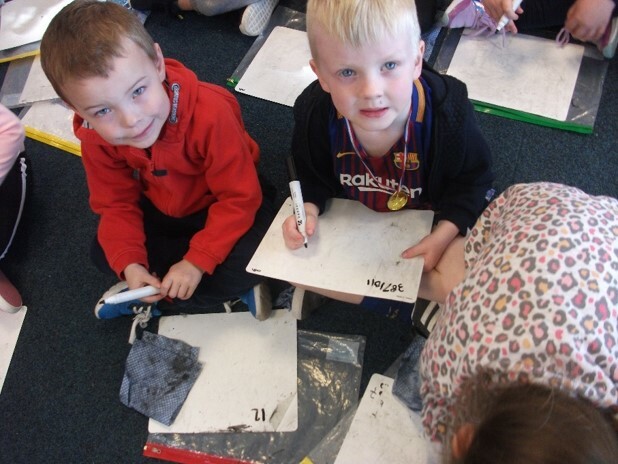 Some groups had looked at the length of their track and explained to the class that they had discovered the longer their track was, the longer it took the marble to reach the floor. Other groups elaborated on the idea that the shape of the track can affect the time as moving round in a spiral shape would take longer than going straight. The groups also discussed the ideas of angles and stages to further increase the time. At the halfway point, the majority of groups had not reached the one minute time point given. 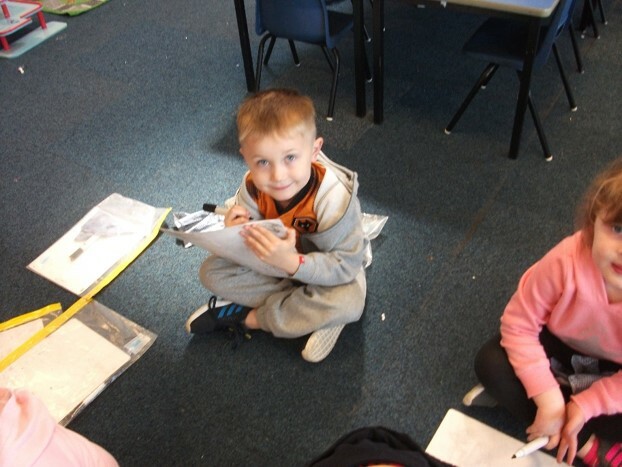 The pupils recorded their thoughts and feelings showing they were determined to continue. The teams had time to consider adaptations to their approach and continue the challenge. Once the time was up, the teams came back together to test out their different strategies. They spoke at length about their initial thoughts and feelings compared to the middle and end stages. 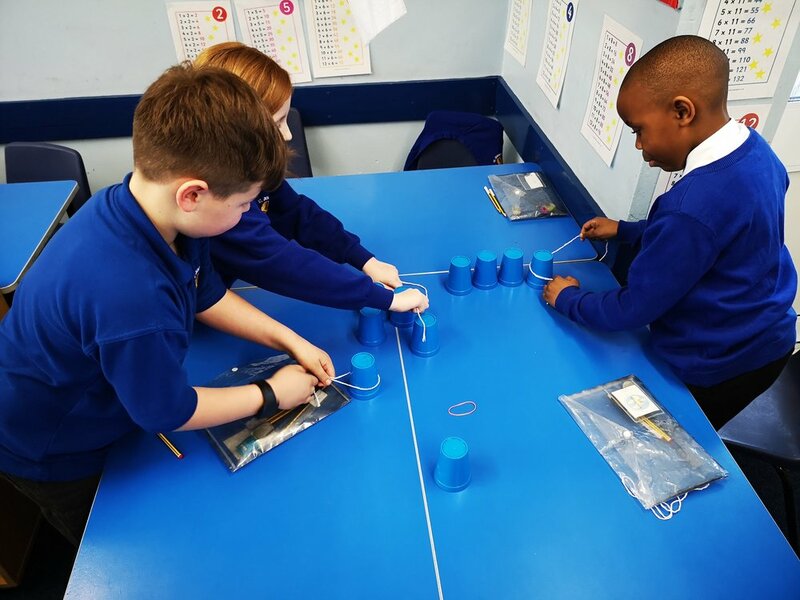 Many felt excited at the start to have a go and were confident, whereas others were nervous and a bit worried that they would not be able to succeed. 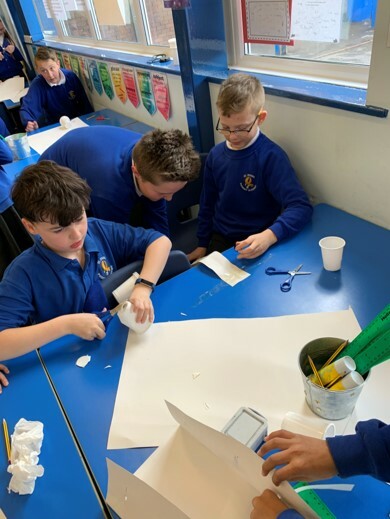 At the mid stage, many felt frustrated that they had not yet managed to complete the challenge but after stopping and discussing were ready to persevere. Now the challenge was completed, they began to address their thoughts and feelings. They expanded on the idea that they felt successful because they had worked as a team and were resilient as they had never given up. If one idea did not work the first time they adapted it and tried again. The final quote of the day, the children gave, was that the key to success is to show determination and work through the challenges because if you have tried your best you have succeeded.